With a promise of lasting forever and known for its to-die-for pigmentation, Smashbox cosmetics never fail to amaze us. The brand has always managed to keep people surprised – launching products that give a photo finish and hence, saving the need for the coveted Instagram filters. Born from a real photo studio, Smashbox cosmetics is the brain child Dean and Davis Factor who are the great grandkids of Hollywood make-up legend, Max. 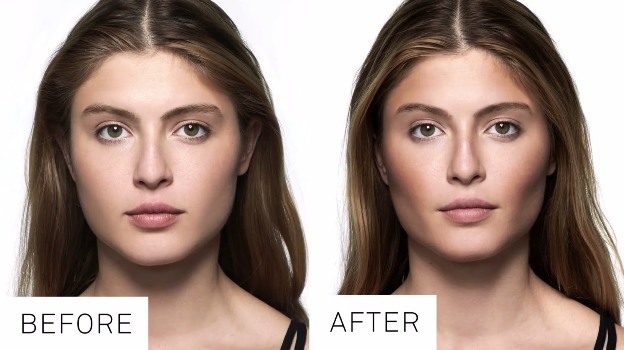 Make-up clearly runs in the family blood as is discovered by Smashbox’s vow to make all their customers feel their most kickass beautiful self. This primer has managed to make its way in every make-up gurus’ beauty kit and why shouldn’t it? With a matte finish and long-lasting coverage, the photo finish primer has a distinct feel to it, owing to its rich and healthy mixture of vitamin A and E, grape-seed extract, and green tea which results in a refreshing look and smooths all fine lines as well as minimises wrinkles. You can literally just use this every day – apply it after your moisturiser and you are good to go. The best thing about this primer is that it comes in multiple options for different type of skin and coverage. So if you don’t want to use just the original primer, you can always opt for radiance one, or a pore-minimising one, or an oil-free one and the list goes on. All of these are based on the original one, if in case it gets too confusing to pick but they are customised for different skin types. Moreover, for a dewy and bronze look, they also have the golden primer (luminizing) which saves you from using a highlighter or bronzer every day! 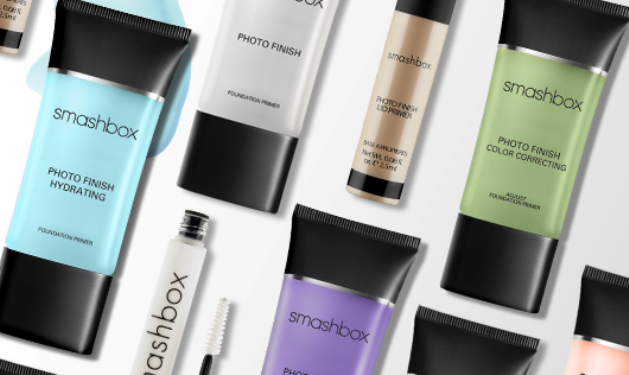 When it comes to skin, nobody does it better than Smashbox – it’s like they find beauty secrets specific for each skin type and create a wonderful product for it. Best for oily skin, this hydrating foundation is extremely long-lasting (15 hours! ), holds well in any type of light and lets you build your own coverage while blurring any imperfections and smoothing your skin out, hence giving a very natural, fresh and soft look. Thanks to Smashbox, our lives have been made easier with their brow tech to go. Be it in train, bus or car, this pencil can be carried anywhere and is extremely simple to use. With its two-in-one feature (a double ended waterproof brow pencil along with a soft hold gel), the brow tech is made up of vitamin C, E and jojoba which results in polished brows and a perfect shape. It gives a natural look as its pencil structure allows precise filling and definition. The soft hold gel holds the brows perfectly in place, giving a finished and well-defined end look. The Brow Tech To Go comes in four shades with an option to get each shade customised to your brow colour. So if you are blonde, you should go with the taupe, neutral/ colourless wax shade specifically created for blondes while the same shade is customised for people with taupe brow colour. Dark brown and brunettes have their own customised brown/soft taupe/colourless wax. Behold! For all the worried make-up lovers who haven’t yet excelled the skills of contouring, this step-by-step contour kit by Smashbox is definitely going to make your life less worrisome and your make-up look on-point. This kit allows you to experiment while having fun and managing to look pretty. You can teach yourself how to sculpt, shape, define and pop your features with this easy on the pocket kit which comes with a free specially designed contour kit. It comes in two shades which are differentiated by a deep or light coverage. The palette has a bronzer, contour and highlighter which saves you the trouble of looking for these products separately and gives you a chance to build your own contour which matches your skin colour and redefines your features. If you are not already on your way to a store to buy all these products, then you are missing out on being your most kickass beautiful self! As the name suggests, Smashbox’s Be Legendary Lipstick keeps it word and makes one feel like a true legend when applied. Coupled with the benefit of both a matte and satin finish, these lipsticks come in a whooping 117 shades that are a mixture of creams, matte, pinks, violets & bolds, nudes, neutrals, corals, reds, browns, berries and purple. All of these shades are given interesting names which give a slight hint about when you can use them. Shades like Legendary, Femme Fatale or Famous all are exactly as their name indicates and can be worn effortlessly anytime of the day. The vast variety of unique and different shades is what makes these lipsticks legendary as they let you experiment. So even if your go-to shade is red, there are tonnes of red shades that these lipsticks offer, making sure that with each lipstick you get a different look. The matte shades are more pigmented then the satin ones, giving a chic appearance throughout without drying the lips. The satin ones, on the other hand, have a sheer pigmentation which ranges from full to medium coverage. Overall, these lipsticks are very light and filled with shea butter, vitamin C and E with a smooth and easy-to-carry feel with it. The cherry on top, YES there’s always a cherry on top with Smashbox, just pinch the shade a little on your cheeks and enjoy a soft and pigmented blush. As if only the 117 lipsticks had not made our lives filled with excessive desire to have each of them, Smashbox has gone on to introduce the Be Legendary Liquid Lip Pigment line which is a fully saturated formula, filled with a creamy and liquid texture which rests deliciously on your lips, as if it was specifically formulated for your lips only. And if you haven’t gotten your hands on their metallic shades yet, then oh Lord, you are missing way too much. A gel like formula which does not feel sticky at all and comes in bolds, nudes and metallic shades. The unique variety of metallic shades is all the rage right now. Shades like Mauve Squad, Foiled Brat, Space Case, Pink Drank and Crimson Chrome are absolute must-haves for the new year. Looking at the swatches is such a treat to your eyes because they are fully pigmented, lightweight and infused with primer oil which gives a smooth finish. Talking of liquid lipsticks, did we mention that Smashbox has an 8-hour wear formula which stays true to Smashbox’s mantra of bringing out the best in you! With a range of 40 shades, and a diamond shaped application, this product is definitely going to impress you with its nourishing ingredients and lasting, smooth impact. Our favourite shades? Thrill Seeker, Girl Gang, Shockaholic and Bawse, the ultimate red create in collaboration with Lily Bawse. Just like a snapshot from a photoshoot, this palette results in a picture perfect look. Easy on the pocket and with shades for everyone, the cover shot eye palettes were created in collaboration with Shay Mitchell to give a photo studio look to everyone. Cosmetics and brushes go hand-in-hand and Smashbox has definitely upped their make-up game with the launch of their soft, angular, technical and smooth application brushes. 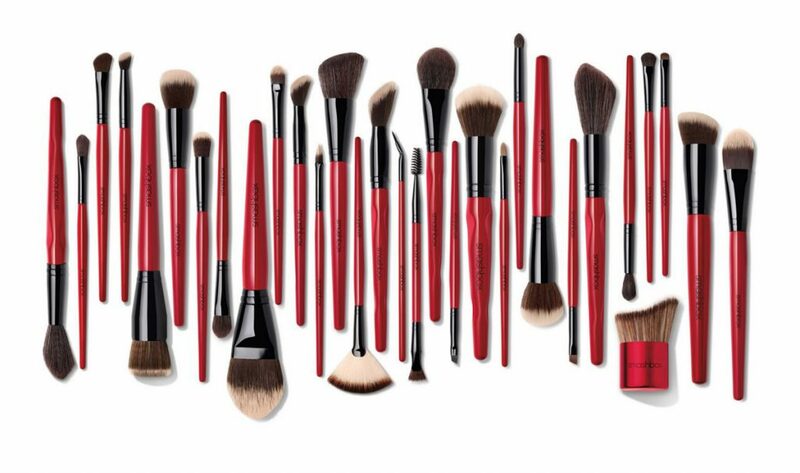 These brushes are very user-friendly, giving you a chance to use them for multiple products. If you are starting off to build your makeup brush collection, do take a look at some of their best-sellers including Foundation Brush No.13, Crease Brush No.10, Face and Cheek Brush No.2 and Tapered Shadow Brush No.7. *Disclaimer: All images belong to the mentioned brands, until otherwise specifically stated. None of the images are the property of Beauty Bridge.